After becoming the first Nevada-licensed casino operator to launch a branded free-play online poker site last October, South Point Casino has become the first operator to be awarded a Nevada online poker license. Nevada regulators had already approved applications by three companies – Bally, IGT and Shuffle Master – seeking to become tech providers to the online poker operators, but Wednesday’s favorable recommendation by the Nevada Gaming Control Board (GCB) for South Point Poker LLC marks the first operator to successfully clear that hurdle. South Point now awaits confirmation of the GCB’s decision by the Nevada Gaming Commission (NGC) at an Aug. 23 hearing. If approved, South Point would pay the state a $500k license fee. 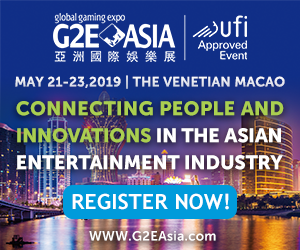 Assuming the NGC finds no skeletons in South Point’s closet, owner Michael Gaughan may make good on his prediction that his site would be the first to deal a real-money online poker hand in Nevada. Gaughan’s representatives told the GCB that once the state’s independent testing labs finish approving South Point’s technology – a second and final round of approval could come later this month – real-money field tests could begin as early as October. 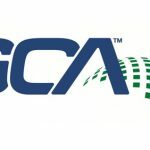 But GCB chairman Mark Lipparelli apparently wants an “administrative review” immediately before the company goes live, just to make sure all the I’s are dotted, etc. 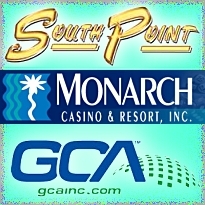 CardPlayer reported that in addition to South Point deploying “unique, patent-pending” geo-location technology to restrict users to within Nevada’s borders, the company would also allow online poker deposits and withdrawals via the cash cages at its brick-and-mortar operation. Also garnering GCB operator approval on Wednesday was Monarch Gaming, which operates the Atlantis Casino in Reno. Unlike South Point, which already has its software component lined up in-house, Monarch has yet to strike a deal with an online poker outfit for a Nevada joint venture. Monarch CEO John Farahi told the GCB that the company was still searching for the right partner, but offered no timeframe as to when such a deal might be struck. In approving Monarch’s application, the GCB regulators made sure the company understood that the license could expire within six months if Monarch still wasn’t ready to go online.